FROM THE US OPEN — SATURDAY, SEPT. 9 — Without a doubt, Rafael Nadal is a serious favorite here. He has not lost against Kevin Anderson, and on Friday against Juan Martin del Potro, the Spaniard was very aggressive and enthusiastic. He pounded his phenomenal forehand and his shots are corkscrew wonders. 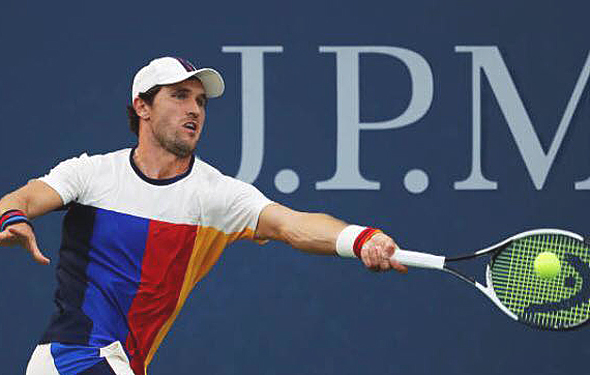 While it has taken 15 years to improve his two-handed backhand, he can crack it deeper now. That is why Nadal has reached the final at the major again. Last year, at the 2016 US Open, he was nervous and tight, which is why he lost against Fabio Fognini in five sets. Today, Nadal knows that his body is feeling good again and, because of that, he will take many more risks. Anderson has never reached the final at the USO, much less at the ATP 1000s. Over the years he has changed a few things. He takes big swings much of the time. Over the past two weeks, he has concentrated and stayed positive when he is off. Not only does he hit the 130s on the first serve, but when he is set up, he can touch the lines with large forehands and backhands. However, even if he walks on court, and he isn’t shaking, how can he out-hit Nadal if the Spaniard is playing pretty well? Anderson has never beaten him before, he hasn’t really even come close. While his foot speed has improved, he cannot sprint like Rafa does. Point to point, Nadal is better, which is why he owns 15 Grand Slams and Anderson has none. Really, if the South African upsets Nadal, it would be a true stunner. Unless Nadal gets hurt on the final at the Grand Slam (like he did at the 2014 Australian Open final versus Stan Wawrinka in the first set and lost, limping), he will win the US Open fairly easy. Anderson wants to be on the court for a few hours, but Nadal will be on top of him right when the start. Nadal will win in three, pretty easy sets. FROM THE US OPEN, FRIDAY, SEPT. 8 – Americans are quite pleased with the surprising women’s single final: the 22-year-old Madison Keys versus the 24-year-old Sloane Stephens. Somewhat amazingly, Keys and Stephens have only played once, in 2015 Miami, Stephens out-ran Keys 6-4, 6-2. They have practiced we each other often, and say they are fast friends, but once they walk on court at the final at the US Open, they will forget about holding hands and lock in. Both of them have played spectacular matches during the past 12 days, swinging very hard, not giving up when you are down, running and running, believing yourself. Keys can hit huge shots with her first serve, forehand and backhand. Stephens is very fast, and when she is ready, she can kiss the lines, being so powerful. So, she can be perfect, or she can slip. Her goal should be not to over-hit when she isn’t consistent, and when she is finally ready to attack, then she will push forward. Too often Stephens backs off, trying to be steady. If her opponent isn’t making a ton of errors, then she has to be change tactics and be aggressive. Neither Keys not Stephens have reached a final at the Grand Slams before. They want it so bad to reach the final that they can taste it. They are very, very good, but one of them will be a little too nervous and make too many errors at the end. If Keys is patient when she needs to be, she will win. If Sloane is willing to go for it when it is super tight, she will win. A toss up, but a very fun one. FROM THE 2017 US OPEN, FRIDAY, SEPT. 8 — Do you remember the last time that Rafa Nadal and Juan Martin Del Potro played in the semis of the 2009 US Open? The Argentine crushed him, 6-2, 6-2, 6-2, and he went on to win it all. Then, the Spaniard said that obviously, Del Potro played as well as he could, but that it was very unusual, and that he was in the zone. In a sense, he was right. Now, Nadal has won 15 Grand Slam titles, and DelPo has only won one. DelPo has been hurt for the past seven years. Had he been healthy the whole time, the tall man might have won 5-10 Slam titles. But he has not, so he has to forget it about it. In a sense, he put the injuries behind him. He shocked Roger Federer two days ago, and four days ago, when he was sick, he still managed to overcome Dominic Thiem in five classic sets. His huge serve and gigantic forehand are on top of the ball, and he is very smart. His so-called weak backhand has improved, and he really likes to slice and keep it low. Nadal has improved, too, with his two-hander backhand, which he hits deeper and a little harder than in years past. For sure, the lefty smokes his heavy forehand, and he is extremely fast. Most importantly, he changes his serves: left, right, in the middle, twisted and flattened out. They have played each other 11 times, all pretty close. Nadal leads 8 to 5, beating him at 2007 Roland Garros, at 2009, 2011 2013 Indian Wells, and at 2011 Wimbledon, among others. DelPotro not only blew out Nadal at the 2009 US Open, but last year in the Olympic Games, he edged Nadal 5-7 6-4 7-6(5) in the semis and in 2013 Shanghai. On Friday night at the US Open, it will be super close. If it goes five sets, Nadal will exhaust him, but if DelPo starts immediately in the first set and he is touching the lines, then he will frustrate the Spaniard. No one will get nervous because both of them have been around for a long time. 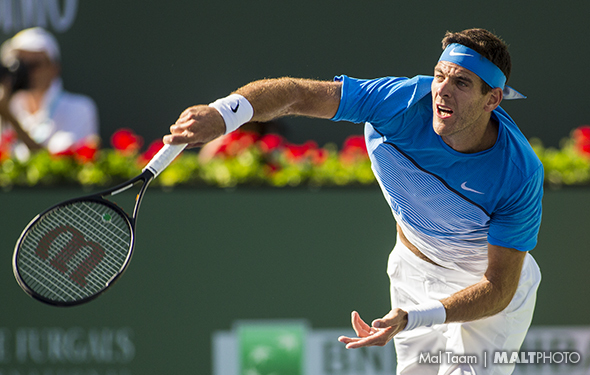 You have to think that Nadal will go for it towards the end, hoping that he will tire Del Potro. The same goes for DelPo, who will think that eventually, Nadal will get shaky and he will start to push the ball. Whoever is ready to pounce with the fans jumping up and down will move on into the USO final on Sunday. The winner will be favorite, no matter if Kevin Anderson or Pablo Carreno Busta wins the other semi. FROM THE US OPEN , SEPTEMBER 9 – American CoCo Vandeweghe pulled off an amazing victor overcoming Aga Radwanska 6-4 in the third set of the third round. Then she out-stroked Lucia Safarova in two tough sets. On Tuesday, she walked on court again, and rose up, edging the then No. 1, Katarina Pliskova. Those were three fine victories. A few years ago, Vandeweghe was barely so-so, and now she concentrates, all the time. She is not only strong, but faster, and smarter. Vandeweghe desperately wants to go even deeper at the USO. Next up is Madison Keys and the two Americans know each other pretty well. Keys, who finally stopped being so disappointed when she wasn’t playing well, continues to battle, and she managed to push down No. 4 Elena Svitolina. Floridian Keys is a massive hitter, from her backhand to her forehand to her first serve. Over the past few years, she has played fantastic and then loses emotional control and falls off badly. Finally, she is maturing. Once again, both of them love to bash the ball, and hit some gigantic serves. Whoever becomes gutsy will win the match. 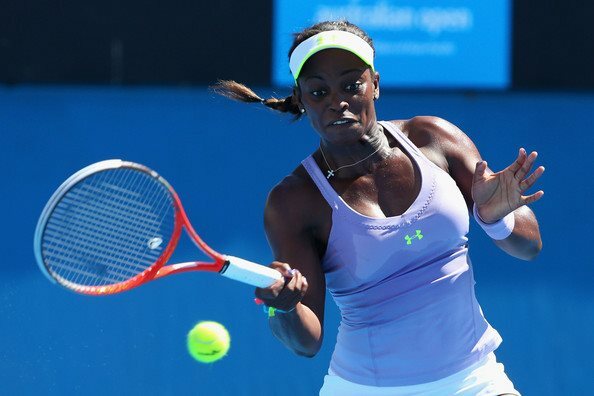 We all know that Sloane Stephens is on a roll. She beat Domi Cibulkova and Anastasia Sevastova in three sets, because she is moving so well, is very confident when she has an opportunity to hit deep groundstrokes. She can run forever, and she likes going down the line.With about a doubt, Stephens has played fantastic over the past six weeks. She and Venus Williams have played once at the ‘15 Roland Garros first round with the younger American winning 7-6, 6-1. Williams didn’t play great, and it was on clay, so this is completely different. Venus has won this tournament twice, in 2000 and 2001. She played fantastic, but it was a long time ago. As always, Williams has a fine backhand, a big first serve and she is super cagey. She can bother Stephens because she can be quite patient. Of course, it will go three sets. Of course, they both want to win — badly. At the end, it will be who is willing to kiss the lines. Toss-up? Maybe. 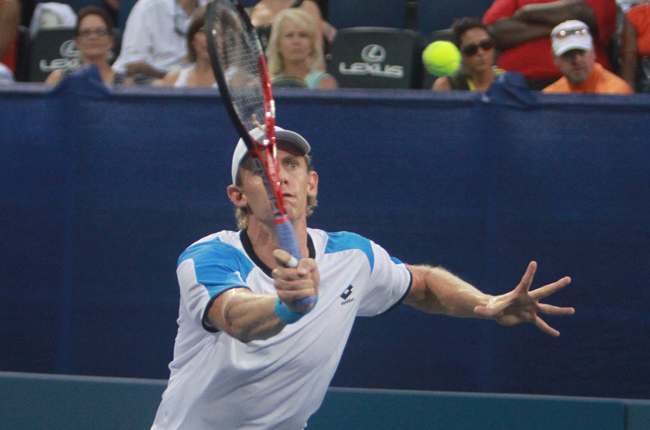 FROM THE US OPEN – If there’s anyone still wondering why so few players serve and volley on the tour these days, just play back Sam Querrey demolishing Mischa Zverev during their round of 16 meeting at Flushing Meadows. Querrey won 6-2, 6-2, 6-1 in an hour and 17 minutes. While his exceptional level of play indeed contributed to the scoreline, it also demonstrated why rushing the net has become such a difficult task in today’s game. With a shoulder problem slightly hampering Zverev’s serving, the tall, free-swinging Querrey could drill back returns and run down Zverev’s deep volleys to send them back in whichever direction. While Zverev had more success using angles and drop volleys to move his opponent forward, Querrey’s power made such shots harder to control, frequently producing balls that sat up for him to put away. Meanwhile, Querrey was sending down 130-mph blasts that were difficult just to return, scarcely return and charge. Zverev, who broke into the Top 30 this season at age 30, is the highest-ranked player serving and volleying with regularity, and among just a handful in the top 100 in the ATP singles rankings. The German has seen his style of play declining since he first arrived on tour as a teenager, and says it is being squeezed from two sides, not just the slowing down of the courts, but also the speeding up of equipment. Slower hard courts tend to be more gritty, and increase the effect of spin-producing poly strings, making it even tougher at net. “Because the courts are so grippy, it really is good for topspin, the heavy topspin like Rafa (Nadal) or like (Roger) Federer also. So it’s been changing a little bit,” he said. Hardly any players re eager to contend with this double whammy, but Zverev is still rushing in where others will not tread. Zverev’s 20-year-old brother, Alexander, plays a contemporary baseline style and is in the Top 10 in the rankings. But it wasn’t for him. Zverev was taught the net game by his father, Alexander Sr., who also played that way in a more conducive era. And despite all the obstacles, he’s found ways to make it work in today’s game. Having almost stopped playing a few years ago because of injuries, he climbed his way back to playing ATP tournaments in 2016 and has notched wins against Andy Murray at the Australian Open, Novak Djokovic at Shanghai, and Stan Wawrinka at Basel, also twice making the second week of the majors. And for any youngsters looking to pick up the tradition, he would tell them to commit even if takes a while before they get the hang of it. “To stick to it, do it for a couple of months,” he said. Seeing him play might get a few of them doing just that.